Definition: Increase in girth or thickness of the plant axis due to activity of secondary or lateral meristems (the vascular and cork cambium) is called secondary growth. The mature dicot stem shows secondary growth and increases in girth. This results by the activity of two lateral meristems--- vascular cambium and cork cambium or phellogen. Fusiform initials and ray initials forming sec. vascular tissues and sec. medullary rays. 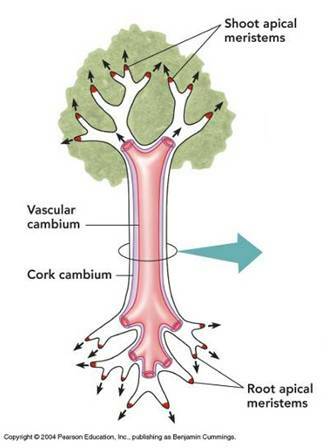 The vascular cambium remains active throughout life. Activity of vascular cambium is affected by seasonal variations. 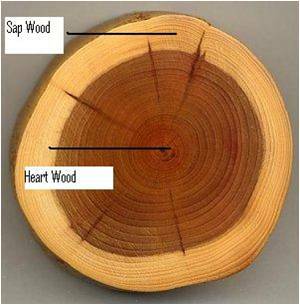 Variation in activity is seen during different seasons, resulting in shape and structure of wood. Plants do not require active translocation of nutrients and ascent of sap. The sec. xylem elements remain compact and develop thick wall with narrow lumen. 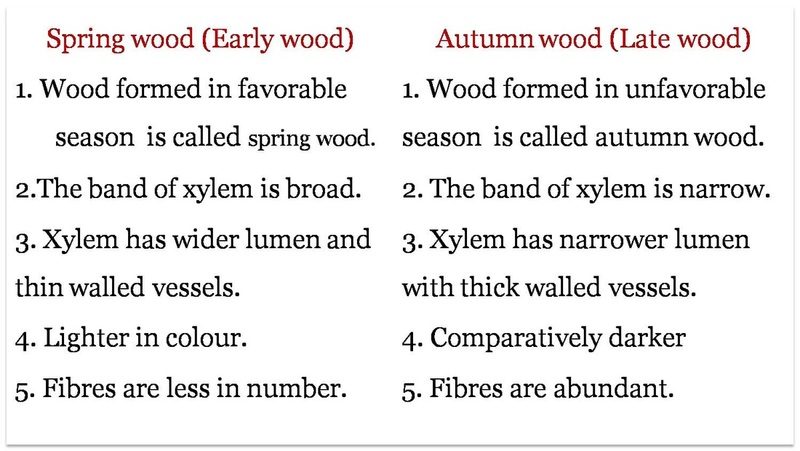 The band of xylem is called summer wood or autumn wood. Plants require active translocation of nutrients and ascent of sap. 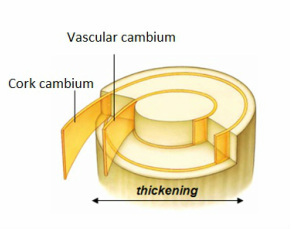 Cambium grows much actively and produces broad, thin walled xylem elements with lumen. 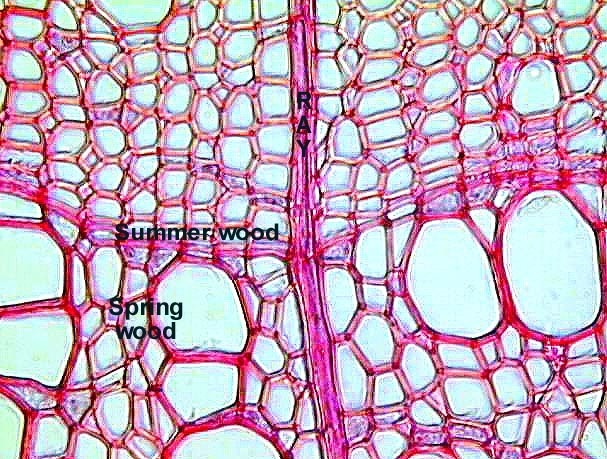 The band of xylem is called as spring wood or early wood. 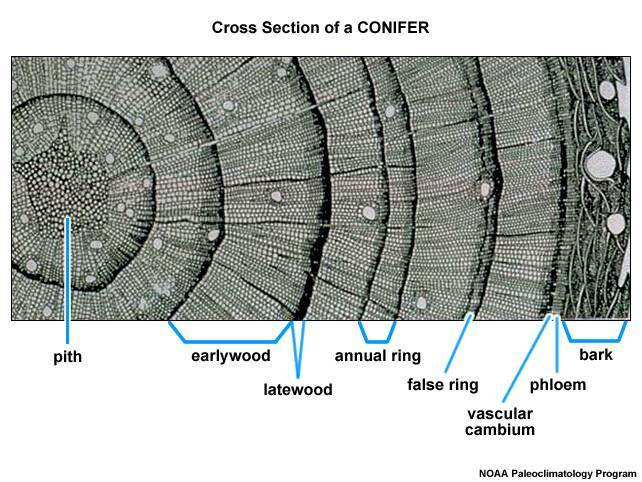 By this way two bands of secondary xylem produced in a year.These two bands make an annual rings. As secondary growth proceeds, the epidermis ruptures and a protective layer the periderm is formed. For this the outermost layer of cortex becomes meristematic and begin to divide. This is known as Phellogen or cork cambium. All the three tissues phellum, phellogen and phelloderm are together known as periderm. 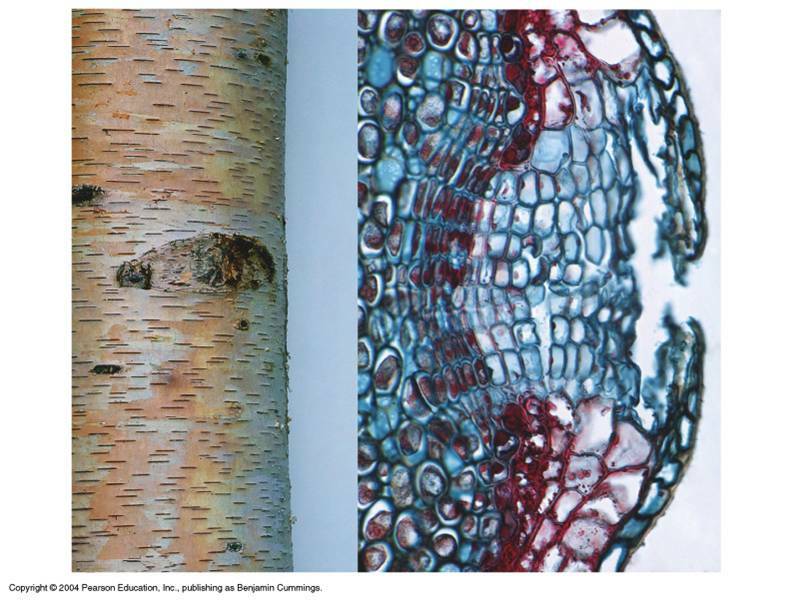 Board question: Give an account of the activity of cambium in the secondary growth of the stem. Secondary growth is due to vascular cambium and cork cambium. 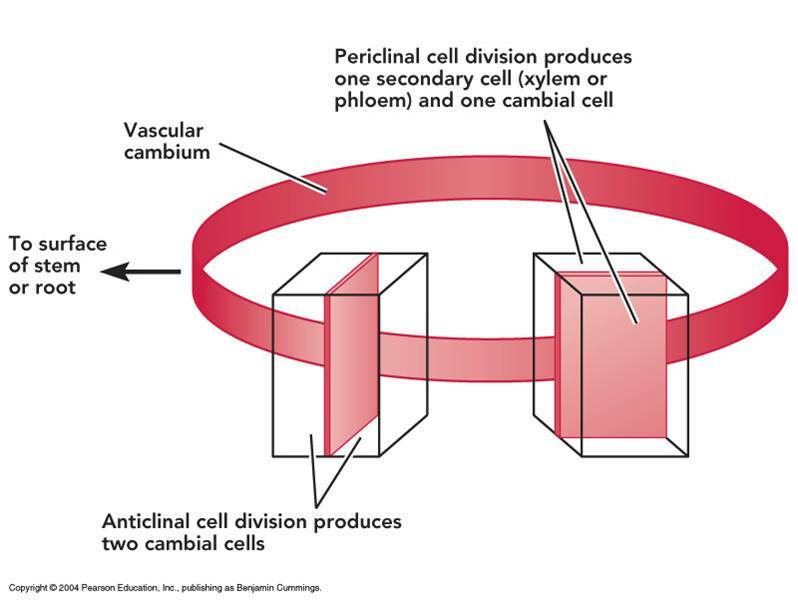 Vascular bundles are arranged in the form of a ring and have intrafascicular cambium between xylem and phloem. Interfascicular cambium develops between vascular bundles and complete ring of cambium develops. 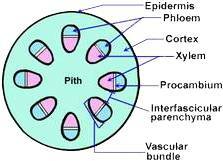 Vascular cambium cells divide and form new cells towards periphery as secondary phloem and new cells towards pith which develop into secondary xylem. Elongated parenchymatous cells between vascular bundles form secondary medullary rays for conducting food and water. 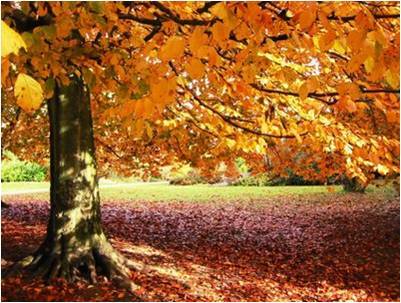 Growth is seen as annual ring consisting of spring wood during favourable growth and autumn wood during unfavourable conditions. Secondary growth from within ruptures the epidermis and cortex outside. 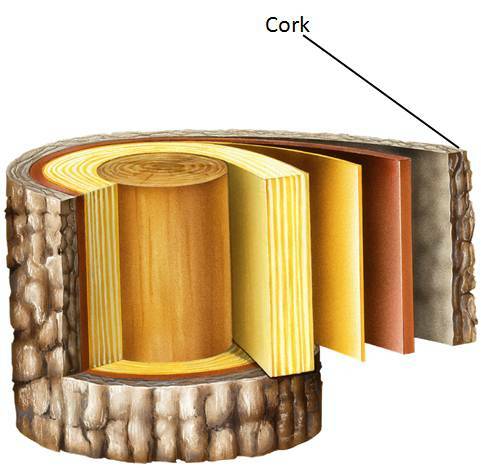 Outer layer of cortex becomes meristematic and becomes cork cambium. 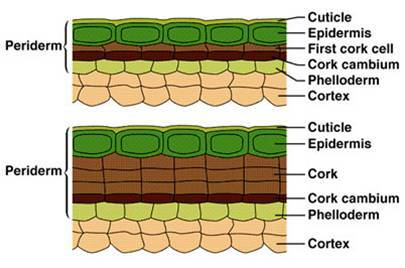 Cork cambium cells divides and form new cells towards periphery as a phellem (cork) and towards inner sides phellogen (secondary cortex). Derived from cork cambium has walls with waxy substance called suberin. Impermeable to water. It is light in weight, resistant to pressure, acids and other chemicals. 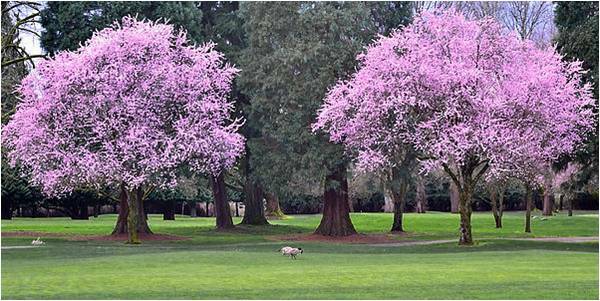 On most trees, bark includes all of the tissues outside the vascular cambium — phloem, the cork cambium and cork. It forms the ring or scale bark. Lenticels are small areas of loosely arranged cells in the periderm. Cork cells being highly suberised and thick-walled, cork is protective in function. Protects the inner tissues from the attacks of micro organisms.